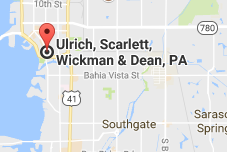 Roy E. Dean - Ulrich, Scarlett, Wickman & Dean, P.A. Roy E. Dean received both his B.A. and his law degrees from the University of Minnesota. 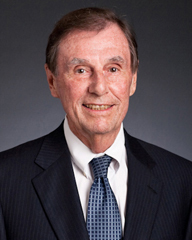 His more than 40 years of legal experience in Florida includes service as both a County Judge for Sarasota County and a Circuit Judge in Sarasota, Manatee, and DeSoto counties, serving as Chief Judge of the 12th Judicial Circuit of Florida in 1977. By appointment, he has served as an appellate judge in the 2nd District and the 4th District Courts of Appeal. He is a graduate of the National Trial Judges College. Roy is a member of the Sarasota County Bar Association and the Florida Bar, and is a Florida Supreme Court Certified Circuit Mediator and Family Mediator. He has an extensive history of service to the community and the bar, and he has served as president of the Judge John M. Scheb American Inn of Court. Roy is admitted to practice in all State Courts in Florida.